This is going to be short, because it really isn’t that complicated, from what I can see. A survey of the Old and New Testaments (use the search function in the blueletterbible.org) seems to show the use of the phrase “a word from the Lord” in two distinctly different categories. Not surprisingly, one category is applicable before Jesus came to earth, and one is how the early church used the terminology. In the Old Testament, people rarely had the advantage of God’s spirit directly with them. As such, God made use of trusted prophets to communicate many times. These were men and women who could make it very clear that they were, in fact, speaking “a word of the Lord.” It is worth noting, however, that even then, it was not that people needed constant direction to make good decisions. Before the time of Abraham, there is evidence that people just knew and remembered things about God, unless they had chosen to turn away from Him. After Abraham, and the subsequent founding of the nation of Israel (which you might be thinking about wrongly), people still knew, but often disregarded this knowledge. It was commonly because of wanting to help them avoid trouble from their own horrible choices that God would send special word. The time when Jesus was on earth, He was able to speak uniquely as the very real mouthpiece of God. It is notable that he didn’t feel the need to always claim to be doing so. Even when He made statements about His own deity, it was not with heavy-handed proclamations. He didn’t need to wow anyone with such grand introductions to his teachings and warning. He just spoke the truth and it either healed people’s souls or made them angry enough to kill. When the beautiful news of His death and resurrection were being shared, THAT was predominantly the “word of the Lord” among believers. 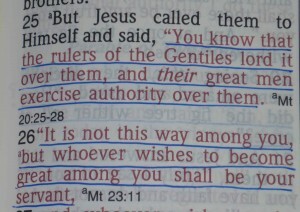 Over and over that phrase is used when referring to telling others about who Jesus was and why it matters. Sometimes, they were just referring back to what they had physically heard Jesus say before he left earth. Even then, it was based on the confirmation of more than one person. There were some prophecies about events. Counsel was given and encouragement enjoyed. But the advent of the Holy Spirit made it unnecessary for one person to be an important conduit of communication from God to other followers of Jesus Christ. There are even warnings given to believers to carefully test all that is told to them. With this model for the church, any claim to have “a word from the Lord” for someone else seems fairly presumptuous if there is no other confirmation to the individual himself being spoken to. 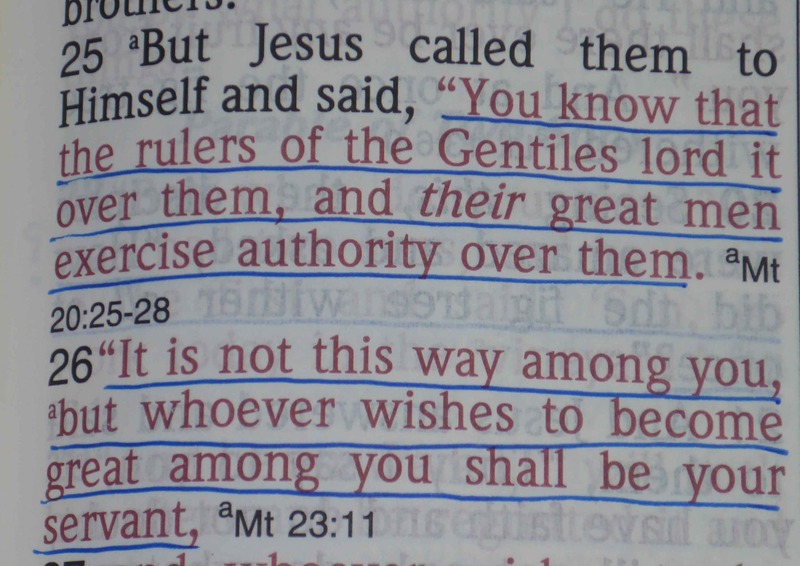 These verses in Matthew are some of many that speak of the level brotherhood of all followers of Jesus Christ. While I was researching this, I found this article about the “word of God,” and just how powerful it really is. I, for one, would be pretty careful about claiming I have a special revelation for someone else! While God the Father is totally approachable because of what Jesus Christ has done for us, and I am very sure of speaking the truth of that, I will tread lightly when it comes to speaking dogmatic, specific guidance or correction into other people’s lives. That is the stuff cults and pseudo-Christian religions are made of.